DUE TO TECHNICAL ISSUES, THIS WEBSITE HAS NOT BEEN EDITED FOR SOME TIME BUT IS NOW BEING UPDATED. 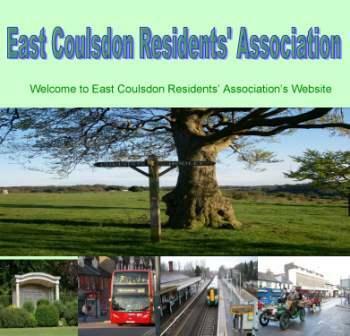 ECRA stands for the East Coulsdon Residents’ Association who represent the interests of the residents within the East Coulsdon Ward within the London Borough of Croydon. The Committee, who are all volunteers, try to protect the area from over or inappropriate development. Through our Councillors or through direct action other matters of concern, such as parking or trees, rubbish and re-cycling collections and the like are raised with the Council. You can e-mail ECRA at…………………………. ECRA encourages residents to become involved by direct action. We also represent those interests to wider bodies such as Transport for London (TfL) Network Rail and Sothern Railways, Coulsdon Forum, Croydon Council, GLA, City of London, Road safety, Green Belt and Environmental Sustainability, Policing and Neighbourhood Watch / Police Ward Panel and we keep an eye on all of the current planning applications in the area, objecting or supporting where appropriate or necessary, including supporting Old Coulsdon Residents’ Association (OCRA) http://www.theocra.org.uk/ Coulsdon West Residents’ Association (CWRA) – http://www.cwra.webs.com/ , Hartley & Distric Restidents’ Association (HADRA) – http://www.hadra.org.uk/ and other Residents’’ Association in the area if required or necessary. attend our Committee Meetings when they can – at least one of them will be there and often all three – so that they can raise matters of concern or interest with the Officers of the Council, other Councillors and organisations and report back their findings or actions to be taken. We publish the very popular Review which Alison Sleight and Eric Jenkinson our Editor produces so well and which is published 4 times a year and delivered to all Members and is also put into libraries and supplied to other Residents’ Association who request it. They welcomes articles of interest to include in The Review . It is the advertising which largely pays for the publication of this magazine but is subsidised from membership fees. If you would like to advertise in The Review please contact Alison whose details are under Committee Members . You can join ECRA for the sum of £3 per year by contacting our Treasurer or to one of our volunteer Road Stewards who deliver The Review and collect the subscriptions, which you can now pay be Standing Order by contacting our Treasurer. These volunteers are highly valued by ECRA and should you like to become involved and volunteer to become a Road Steward we would be delighted. We would also be delighted should residents like to put themselves forward to become members of the Committee. AGMs are usually held in June at Old Coulsdon Congregational Church, Opposite Tudor Parade, Old Coulsdon 7.30 p.m..
Social events are arranged by us from time to time. This includes Quiz nights jointly with Friends of Farthing Downs & Happy Valley www.friendsoffarthingdowns.co.uk and, of course, Christmas dinner. Again we would welcome help and any ideas for additional outings. Visit the Dates for Your Diary to find out current events on offer. Within the ECRA area is the very popular Farthing Downs and Happy Valley with its Saxon burial mounds and Iron Age field system which is a stone’s throw from Coulsdon South Station and the A23. This is managed by the City of London Corporation – http://www.cityoflondon.gov.uk/Corporation/LGNL_Services/Environment_and_planning/Parks_and_open_spaces/City+Commons+Division.htm. The area has been awarded Green Flag – http://www.keepbritaintidy.org/GreenFlag/ status – an independently judged award given annually to the best parks and green spaces in England and Wales. Friends of Farthing Downs run many events throughout the year, a current list of which can be found on the Dates for Your Diary Page. Also within the area is the Marlpit Lane Recreational Ground with its Children’s playground,, Bowling Green Putting Green, tennis, netball and basketball courts. We are please to say that the Poppy Cafe is now re-opened and ECRA have been working with the Friends of Marlpit Lane Bowling Green to maintain the bowling green in use for the public which is run by volunteers and is open in the afternoons during the late Spring and Summer – weather and volunteers permitting..
Advertising – If you wish to advertise with us in our magazine ‘The Review’ which is distributed to over 2000 households and libraries. Please contact Alison Sleight the Editor of ‘The Review’ who will be pleased to hear from you. Recruitment to ECRA – Should you wish to get involved with ECRA as a Committee Member, Road Stewart or helper we will be very please to hear from you. Please contact one of the Committee Members.